Location: Auchenbathie, East Renfrewshire, Scotland. 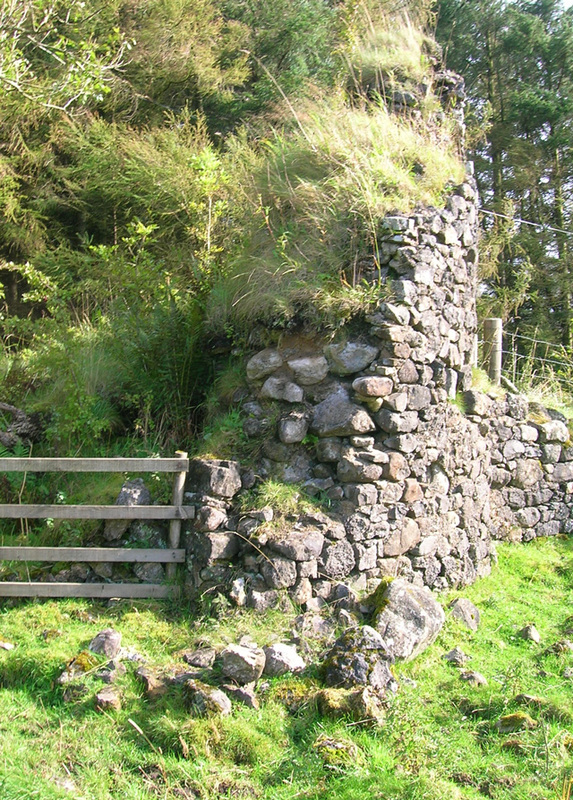 Notes: Auchenbathie, Auchinbathie Tower or rarely Barcraigs Tower is a ruined fortification, a tower house, once held by the Wallace Clan of Elderslie, situated in Renfrewshire, Parish of Lochwinnoch, Scotland. The spelling used varies greatly and "Auchenbathie" will be used here as the standard spelling. The pronunciation locally is "Auchenbothy", the same as a Victorian mansion in Kilmacolm; no connection is known.